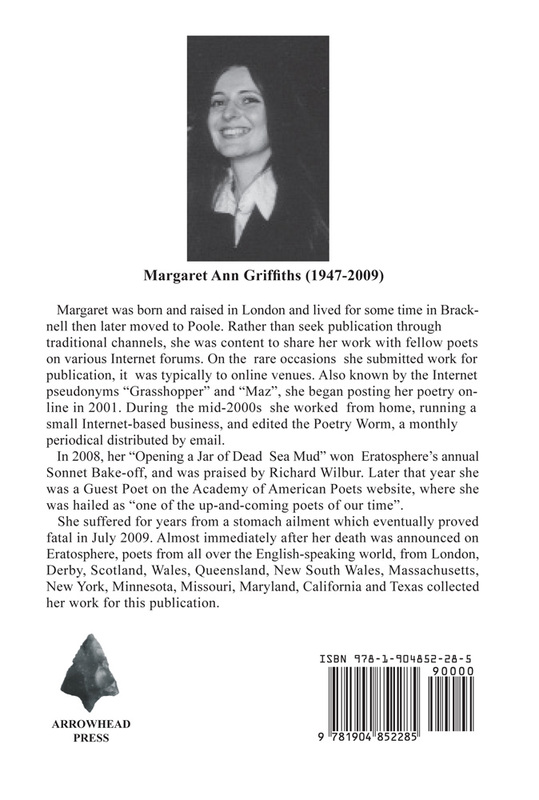 This publication is intended as an archive of Margaret’s work and has been produced in alpha-numeric order as an easy reference to individual poems. The book contains 316 poems, some scraps, some work in progress, but mainly finished poems if poems are ever completely finished. The book now resides in the National Archive at the British Library and in the main Copyright Libraries. The intention was to preserve her work, which previously was scattered around the Internet in dozens of different locations. The book is also available for public access at the Saison Poetry Library in the South Bank Centre, London.
. . . But besides formal poems, the book also contains every other sort: loose meter, free verse, prose poetry. Or at least it contains every other sort of poetry that uses the ordinary coherence of language to do what poems do. There is no crypticism, no Language poetry. In fact, “Manifesto” makes ironically clear her dim view of cryptic poetry. 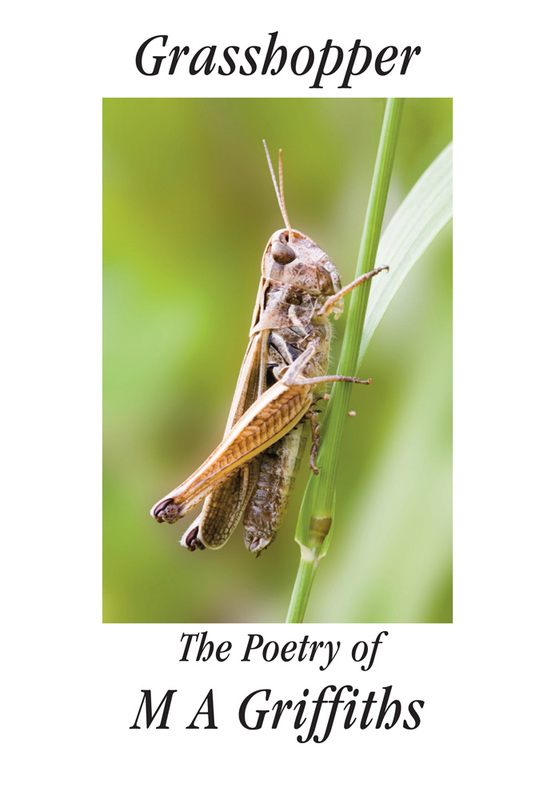 These are accessible poems, but not at all in the bland, plainspoken, real-life-only way one might associate with Ted Kooser’s American Life in Poetry. They’re both clear and imagination-drenched. They believe in vibrant detail and arresting word choice.
. . . Margaret Griffiths should be proud of what her admirers have put together in tribute to her and her poetry. As amply evidenced in Grasshopper, Maz Griffiths was a superb craftswoman who passed away much too early. Highly recommended.